When we first began Inward Office back in 2007 I was often invited by companies to do Lunch and Learns rather than teach yoga classes. At that time, I was fresh out of yoga teacher training and was intently focused on sharing the tools Yoga offers. I declined the offers to present in the lunch and learn format. As my life changed, my practice changed. My family grew and I had less time for asana, or physical postures. My job demands increased and I felt the same aches and pains as my clients. My stress level increased and the real need to do more meditation arose. I saw that learning through my left brain was sometimes necessary, especially when I didn’t have the energy or interest in attending a regular class. Now we offer four different Lunch and Learns. Our clients have used them to kick off new programs, as a chance for Q&As for classes, and to encourage more people to learn about the benefits of mindfulness in their stress management plans. The true backbone of our company is to promote more mindful present moment awareness through our classes, ultimately leading to more happiness, rather than stress, mentally and physically. And we each need something different. Discovering what we need and practicing it regularly is our challenge. In 2017 we just began offering Mindful Eating lunch and learns where our participants get to try out a Taste Satisfaction exercise and Mindful meditation. Mindful eating is based on the idea that we can use our internal signals to create a healthier, sustainable way to change our eating habits. Eating habits such as eating quickly, eating while watching TV, or over eating are developed over a long period of making small, unhealthy decisions. In Mindful Eating we shed light on our tendencies and make conscious decisions to change these habits. 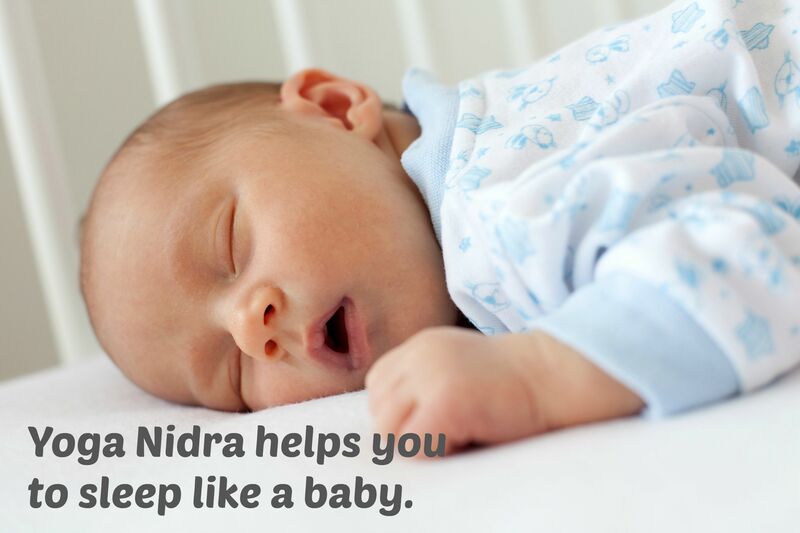 Finally, one of my personal favorites is the Yoga Nidra presentation where participants get to experience a science-based meditation aimed at calming the sympathetic nervous system. In this way we eradicate deeply held mental and physical tension. This method has been studied on groups of homeless individuals, soldiers, as well as others suffering from PTSD and it helps these groups to get a good night’s sleep.